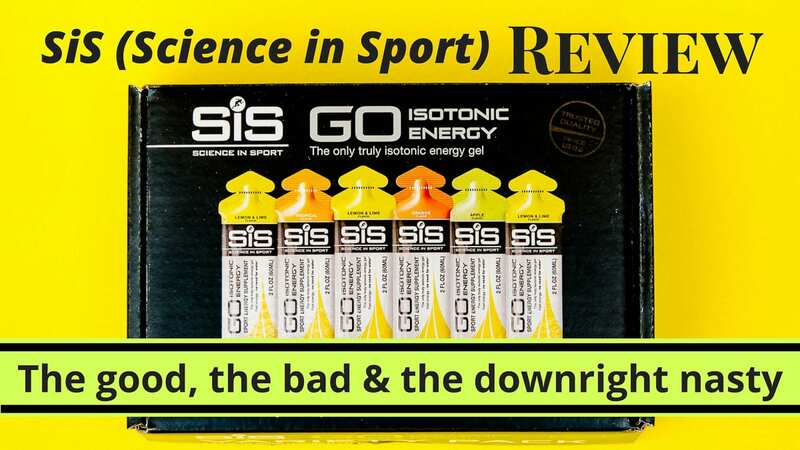 Science In Sport (SiS) seems to be a relatively popular choice of electrolytes and fuel for endurance athletes . I have tried several brands and tested a number of the products offered by each. I have my favorites as well as a few I avoid. There are some that work better for me than others and most of us quickly learn that this is a personal choice. 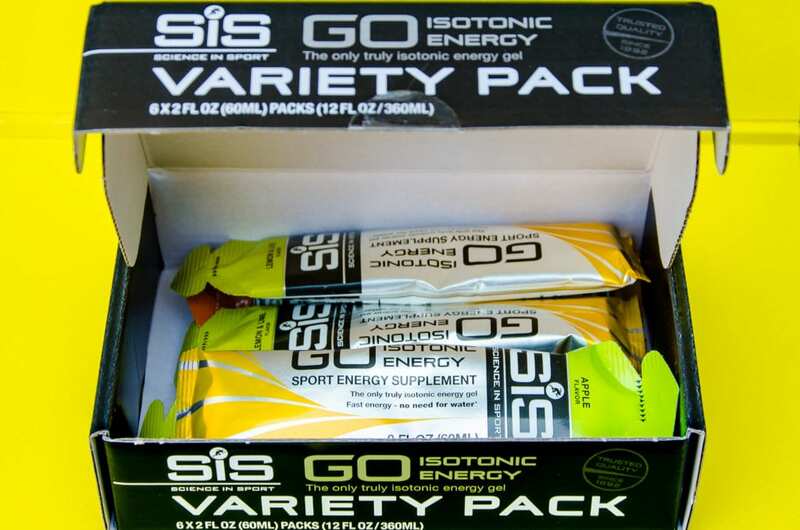 I took the plunge and ordered a sample pack from Science in Sport (SiS), which included a box of six gels and a tube of effervescent electrolyte tablets. To keep things fair, I’ll give you a brief overview of my background with fuel on the run. It’s been an uphill struggle from the start. 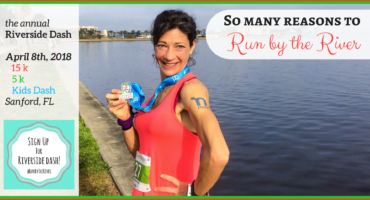 My gut is just particularly sensitive to all kinds of ingredients and to complicate things more, what might work for me on mile 12 may be the worst thing I could touch on mile 16 so the trial and error is seemingly endless. The ordering process was swift and easy. I set up an account, giving the usual, basic contact and delivery details, added the sample pack to my cart, applied the coupon code I had for a discount and checked out. It took about six days to arrive with standard USPS shipping. I was happy with this and shipping was free. 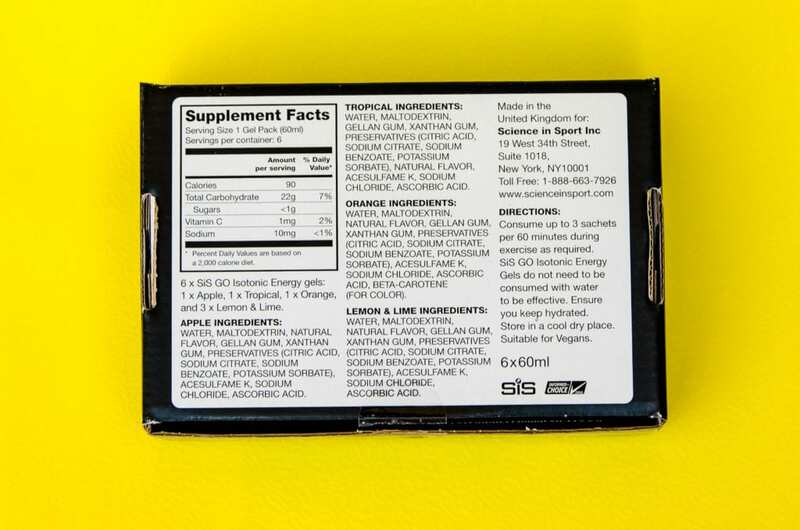 The products arrived neatly packaged, the gels in an attractive looking flip-top box and the electrolyte tablets in a tube with a plastic airtight stopper on the side. I like the way they are packaged. SiS gets a high score for presentation. 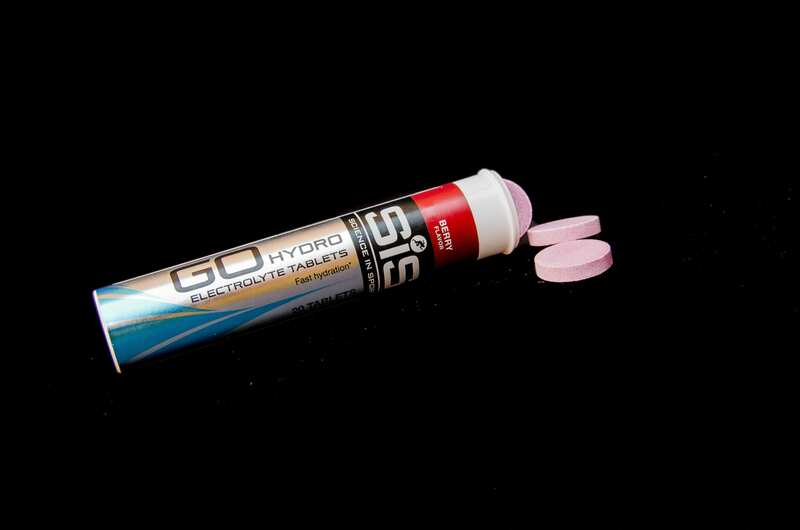 The cylindrical tube contains 20 GO Hydro Electrolyte tablets; twice as many as the standard pack of 10 that I’m used to seeing with similar products by other companies. I really like these. They are very fruity, not too sweet and the tablets dissolve quickly and easily without the slight chalky residue that is commonly found with similar products. I went through the entire pack in less than ten days. With the onset of summer, dropping one of these into a glass of iced water makes a refreshing, fruity treat and they certainly quenched my thirst very well. 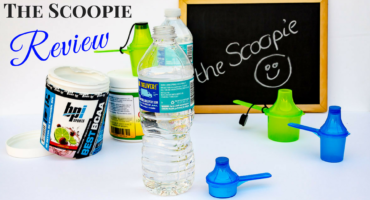 This product is better suited for consumption before or after a workout, or to top up electrolyte stores during the day. The light fizz and waiting for the tablets to dissolve before drinking make it a bit more challenging to use during a workout. If you really love them and want to mix some up to take with you on a run, I suggest preparing it an hour or so before or leaving it in the fridge overnight and then opening your sports bottle to release the air before setting off. None – I really like these. Overall, the GO Hydro tablets ranked very well with me and I would buy them again. 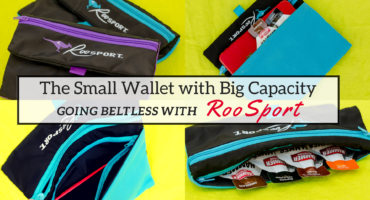 The individual packets are larger than any other sports gels I have used, which surprised me. I could see from the website before I ordered that the shape was different, but I was surprised that they felt so big. My first thought was how many I could actually carry in my running belt, which actually holds more than enough for me for a 20 mile run or even a full marathon. I could just squeeze two of them in and while it was possible to add a third, taking them out while running would pose a greater risk of dropping one. If I did take these with me for a long run I would probably throw one or two of them down the front of my sports bra. The top tears off easily. This is important. I cannot begin to express the frustration of being on a long run, grabbing a gel and the top rips off without actually opening the important part where the good stuff gets from the package to your mouth! I had no such problems with these packets. The gel itself … this is where things went downhill for me. I don’t test new fuel for the first time on a long run. I don’t have to run 18 miles to know if something has the potential to work or if it doesn’t. If there are no obvious red flags for me in terms of my tolerance of the product on a 10 mile run I know it’s a safe bet to give it a full test on a longer run. Firstly, the consistence is far more runny than any gel I’ve ever tried. This is not necessarily a bad thing because I steer clear of those that are so pasty and gritty that I need half a bottle of water to help swallow it. The challenge I face is that I don’t take in an entire gel all at once. Taking small mouthfuls over the course of five to ten minutes works better for me. I can’t do that with the SiS gels. Now the gels are not sweet, which for me is a plus. The longer I’m on my feet, the less I want sugary things in my mouth. I do prefer to have some flavor, though. Secondly, not only is there more volume to the contents of these packets, but it is so runny that even slight pressure on it while in my hand caused the gel to shoot out and run all over my hands and down my wrist. If you prefer to take your gel in all at once and just get it done, then this won’t be a problem, but it is a big drawback for me. The biggest deal breaker for me is the taste and texture of the gel itself. There is very little flavor to it, which surprised and disappointed me after the bold, fruitiness of the GO Hydro tablets. It has a very synthetic taste and a texture I can only describe as liquid wax, which left a strange film in my mouth and in the back of my throat. When I had some water later on I still had that greasy, waxy sensation on my tongue and throat and it felt like it made a waterproof barrier that prevented me from quenching my thirst. I tried a few of the varieties and all were lacking in flavor and positively vile in texture. The remaining gels lie in the beautiful box untouched and will be going out with the trash. It took me three attempts before I could actually take in a full gel for a run. Aside from the gagging at the texture and taste, the ones I tried while running turned into a slippery, sticky mess as they squirted all over the place when I tried to hold the open packet. If I am going to try something and review it, I want to give it a fair chance, whether I think I might like it or not. It would be unfair to report my experience without testing a complete portion of the product. I took a deep breath and slugged down a whole packet of SiS gel (I think it was Lemon & Lime, but I was trying not to taste it). I washed it down with a couple of sips of water and set out for a run. It wasn't a long run. I don't try a new product on a long run; too much can go wrong too far from home. Everything seemed fine and I ran an easy eight miles before coming home. There was just a little acidity in my stomach and at the top of my throat and I could still detect some of the aftertaste of the gel. Nothing terrible. As I arrived home my stomach started to complain. I threw up twice. All I could taste was the gel and that horrible wax flavor and oily sensation that just wouldn't go away. I was sick again and spent the next four or five hours nursing terrible stomach cramps. I guess my gut doesn't like this one. The warning signs were there when I tasted them, but I accept that there is a difference between something I don't like and something that doesn't work. 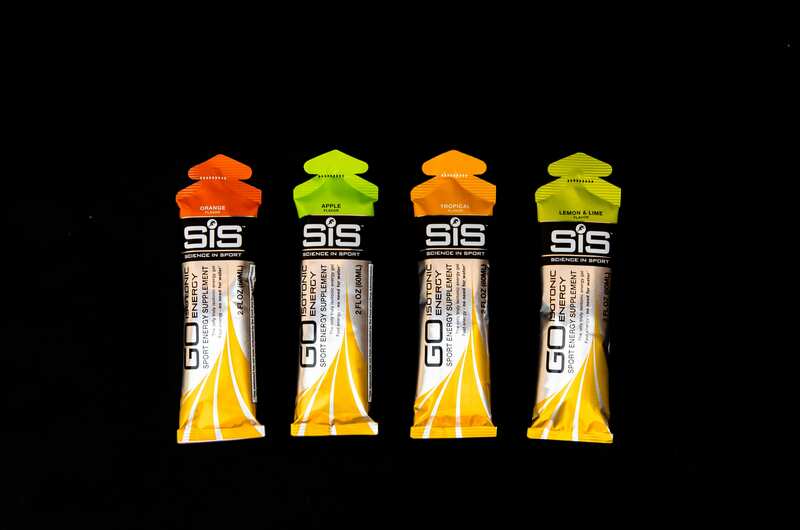 I feel I gave SiS Gels a fair trial They are just not right for me. SiS products have plenty of fans out there, from what I can see. Not all things work for all people and I accept that. Simply put, I would not recommend these to someone I like. I am glad I tried these products. While I wouldn’t touch the gels again, I would order the GO hydro again because I really enjoyed them. I don’t like to tell anyone not to try something. Our bodies and needs are different and sometimes the strangest preferences and aversions show up during a long, hard workout or race. It’s a very individual thing. I also believe it’s good to know what you don’t like as well as what you do. It helps, particularly if you are picky or sensitive to certain products, tastes and textures, to glean an understanding as to why something may or may not work for you. The objective of this review is to point out what I liked and disliked and why. Understanding this is usually helpful in making an informed choice before trying out a new product. Please note that I'm not slamming the company. I actually like one of the products. It just happens that I really dislike another. I hope this helps you determine whether or not Science in Sport products may be worth a test-run for you. Great review Lee! Love the honesty with the gel!! Might try the GO Hydro. Thanks. Thank you, Richard. I don’t like to tell anyone what to try or not to try, but those gels and I did not get along at all! A pity really, because the GO Hydro is delicious! I’ll use it again in a heartbeat. Let me know what you think of the products if you do try them.